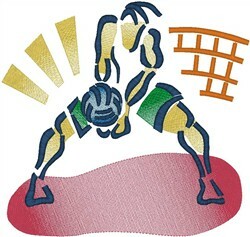 Used this on a towel for a beach volleyball player. Added his name. Printed out very nice, ans even if it is quite big, it didn't make the towel too "stiff", since the stitching is quite open. Loved the result. 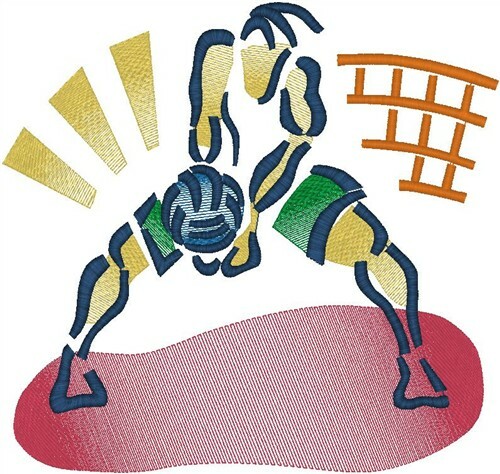 Heavenly Designs is happy to present Volleyball Player1 machine embroidery design which has 18275 stitches and is [209.00 mm x 198.00 mm] large. If you would like to view more embroidery patterns please search on our embroidery designs page.